...only in Texas! 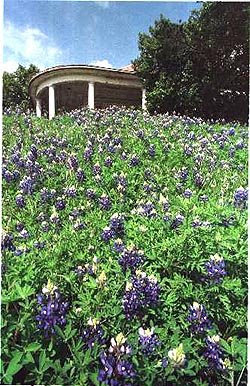 Texans are proud of our wildflowers and owe a debt to the late Lady Bird Johnson for her efforts at preserving Texas native flowers along our highways. The first three photos were taken in around Bellville, Cat Spring, and Brenham, Texas. 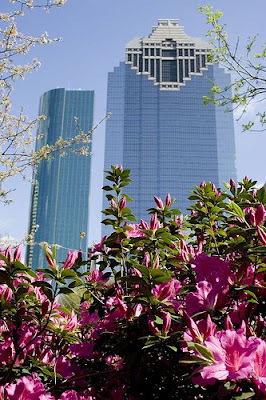 This photo was taken at one of the Houston public parks and is an unusual close-up view of azaleas with skyscrapers in the background. 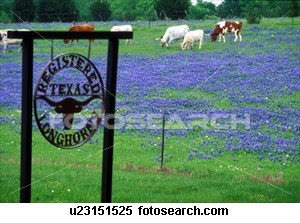 Although azaleas area not native, I thought the photo fit with the bluebonnets. 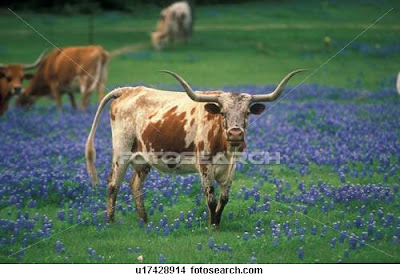 A Texas longhorn framed by Texas bluebonnets in the Texas hill country. I do not know who took these photos so can't give appropriate credit.